Chronic pain can be difficult to deal with, making it difficult for you to go about your normal daily activities. Although it can be hard to cure this pain, especially if it is caused by an ongoing health problem, there are a number of things you can do to make it easier to manage this pain. 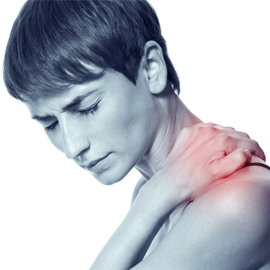 One option for pain management is prolotherapy in Los Angeles. This therapy involves injecting a dextrose solution into the ligaments or tendons in painful areas, which then stimulates an increase in connective tissue production and strengthens weak connective tissue. If you want to make it easier to deal with your chronic pain, then you should try to stop smoking, limit alcohol consumption and eat a low-fat, low-sodium diet. This will help you sleep better, minimize circulation problems and help you maintain a healthy weight, all of which help with chronic pain management. Track your pain levels during the day so you can figure out which activities either increase or decrease your pain level, and try to reduce your stress, since this can increase the amount of pain you feel. On days when the pain is particularly bad, a massage may help. Learning biofeedback methods, or even just learning how to distract yourself from the pain can also be beneficial. Meditation, deep breathing and exercise are other common methods for decreasing pain levels. If you are feeling depressed, consider trying out a support group or seeing a professional. Some or all of these pain management methods should help make it easier for you to go about your daily activities in spite of your chronic pain.